We’ve teamed up with THE MAMMOTH COLLECTION to offer a selection of their superb art collection for your iPhone and iPad. 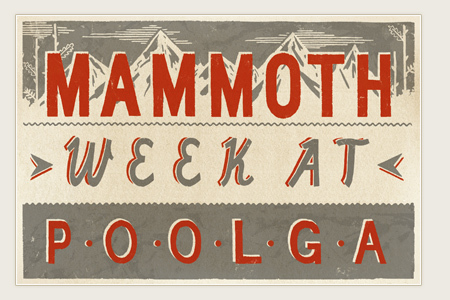 Starting Monday May 16 we will be featuring one new Mammoth artist every day for the whole week. Don’t miss any of them! Head over to Poolga and download a new one every day. 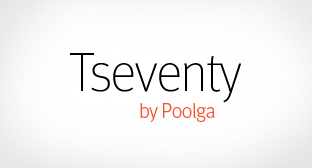 Don’t miss Poolga’s sister site: Tseventy, where we feature carefully hand picked photography for iPhone, iPad and other mobile devices from selected photographers from around the world. If you’re into photography and own an iOS device, you’ll love Tseventy. A selection of illustrations by 15 of our favorite artists, adapted for the iPhone screen and presented in a beautiful and engaging way. Carry them in your pocket, show them off, share them with your friends and use them as wallpapers. The Poolga Collection #1 is a free iPhone App.